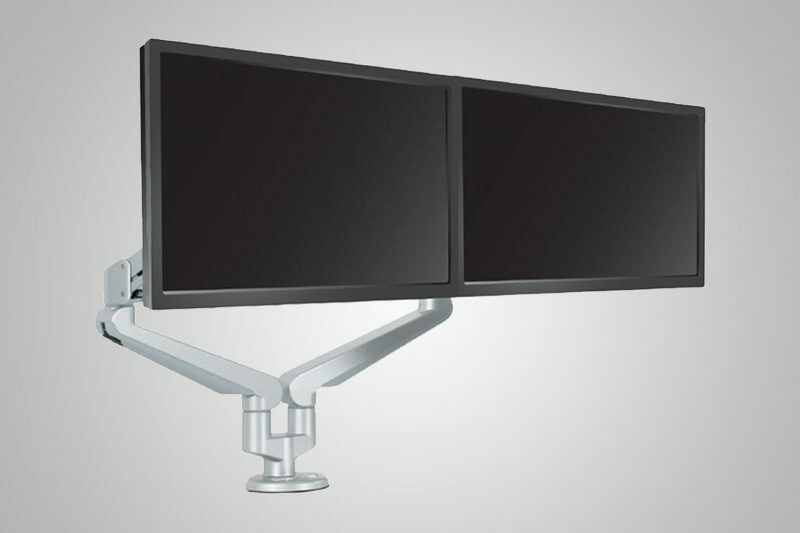 Quickly converts any fixed height desk into an active height adjustable workstation in seconds. 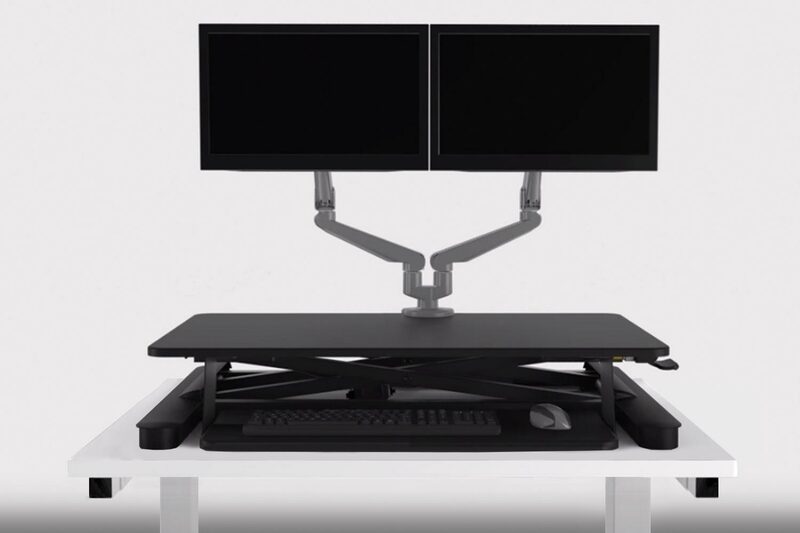 The MultiTable Standing Desk Converter quickly converts any fixed height desk into an active height adjustable workstation in seconds. 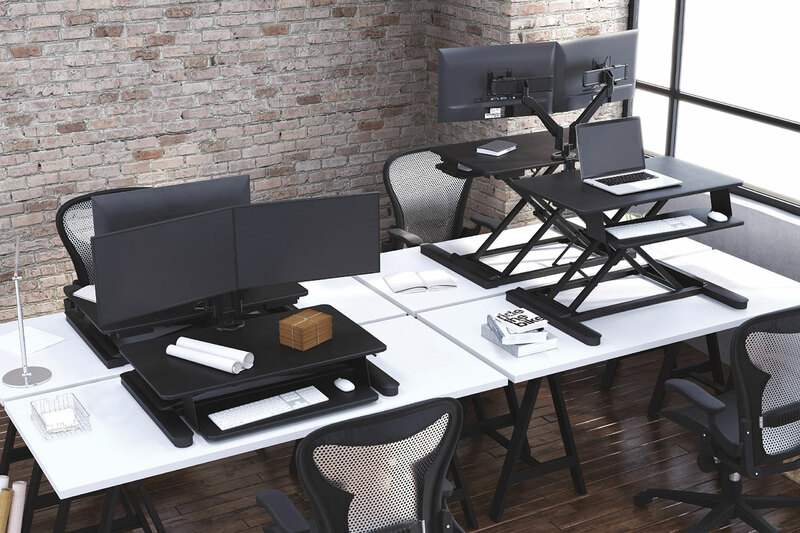 Unlike other popular sit-to-stand workstations, the MultiTable Standing Desk Converter is equipped with an advanced weight adjustable pneumatic mechanism that allows the user to tailor the weight tension setting to accommodate the combined weight of their worksurface and various worktools. 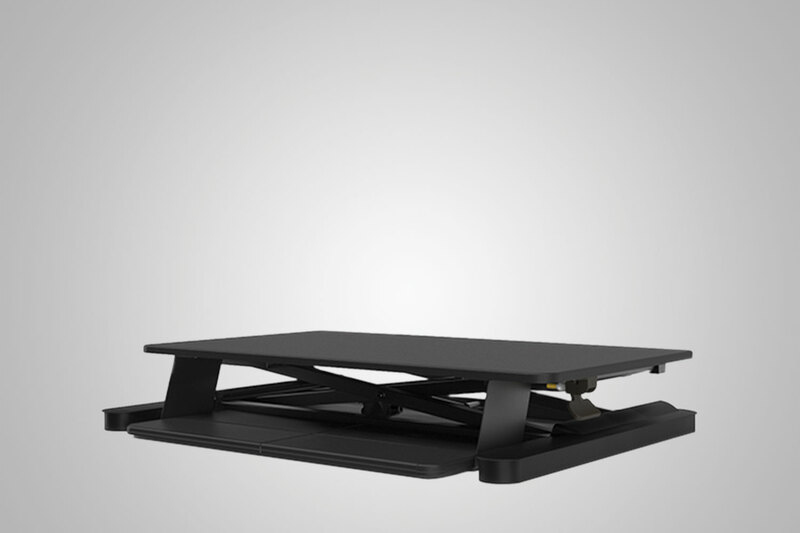 This allows the user to easily lift up to 35 lbs up or down without physical exertion or electric power. 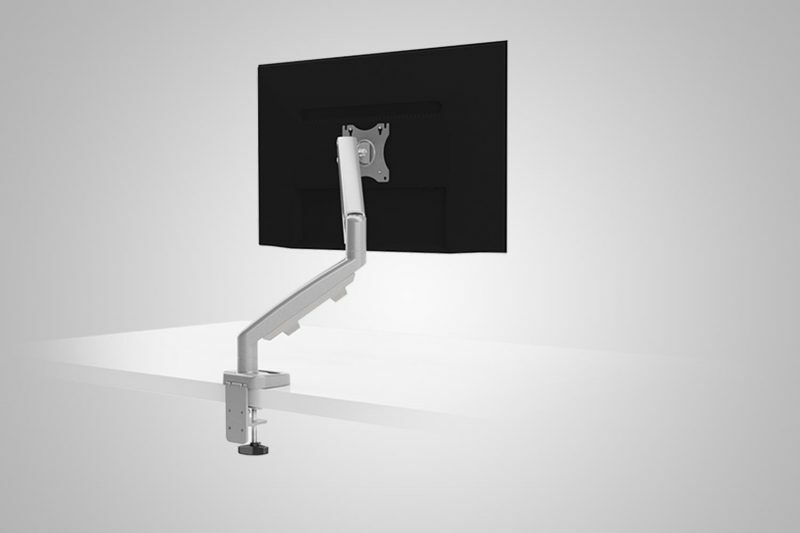 Your Standing Desk Converter ships fully assembled in about 5-7 business days, and is ready to use straight out of the box. Ships with weight tension pre-set to lift 22 lbs. Great quality stand desk at a great price! I researched a lot of standing desk options and decided to get this 36" one. 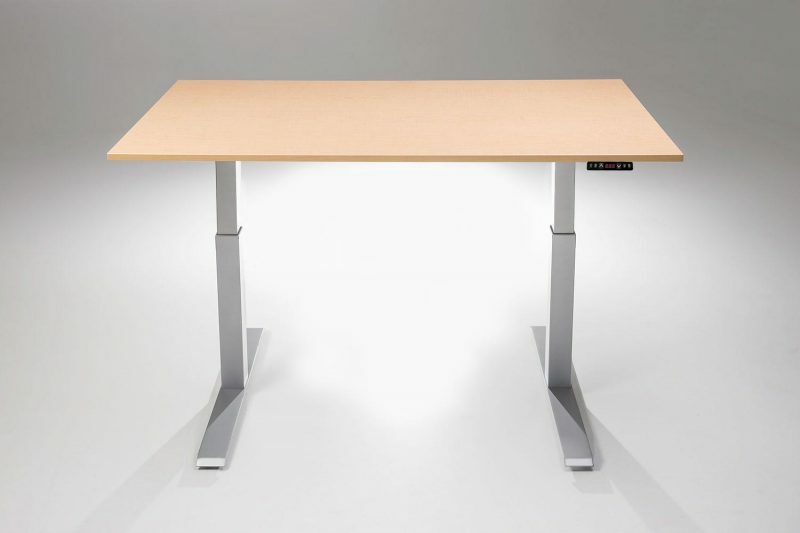 It had great reviews and was reasonably priced compared to similar "name brand" options like Varidesk. PROS: The MultiTable came pre-assembled and was ready to go right out of the box. It's heavy, but can be moved (carefully) by one person. The raise/lower lever are conveniently located on the side. It's super-easy to lift and lower using a shock with weight adjustment. 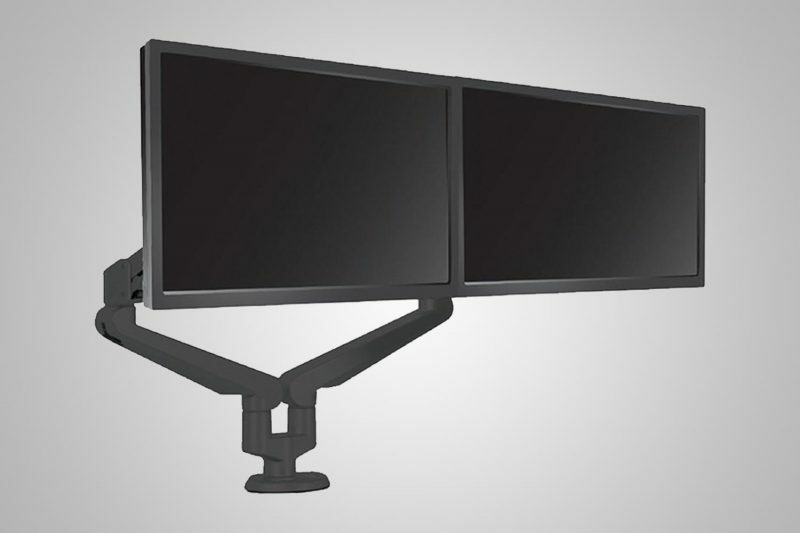 Works amazingly with two large monitors and plenty of room remaining for all my stuff. Looking forward to the health benefits to come as I learn to stand for longer periods throughout my day at work. I'm glad our company decided to offer these as a step toward a healthier workplace. We will all be buying MultiTable now that I have acted as the research assistant on this. 5 stars for service and quality in design. Excellent value. I spend all day in front of a computer. Health concerns about extended periods of sitting made me consider a standing desk. Since my employer wouldn't pay for it, I started researching all the options. 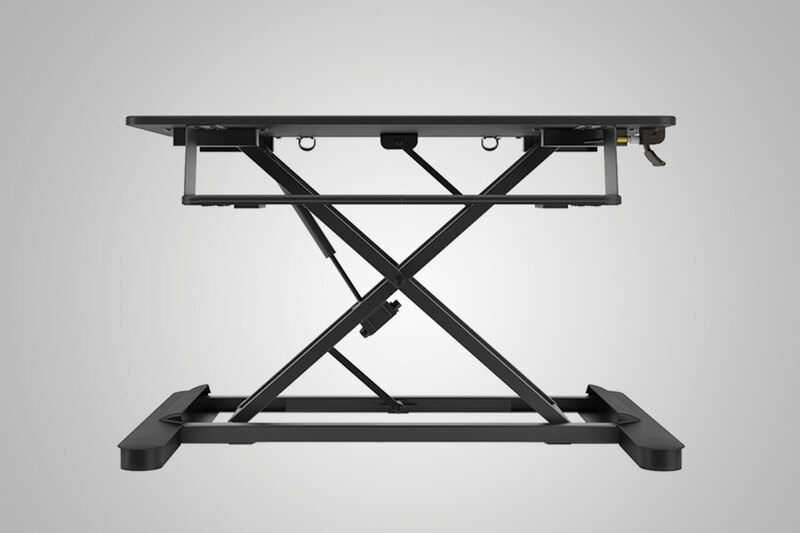 Varidesk is the most well known, but at nearly $500, a bit out of my budget. There are many options, and it was hard to decide. I have had the desk riser about two weeks now and it has worked flawlessly. Two monitors, full size keyboard with a wrist pad and a mouse with a mouse wrist pad also fit no problem. The desk is easily adjusted and I spend at least half my day standing instead of sitting. My co-workers are jealous and will likely be buying these as well. If you are thinking about a stand up desk but don't want to drop $500, this is a well built, solid alternative. 5 stars for price, quality, and service. The best one I have found at this competitive price. I love it! 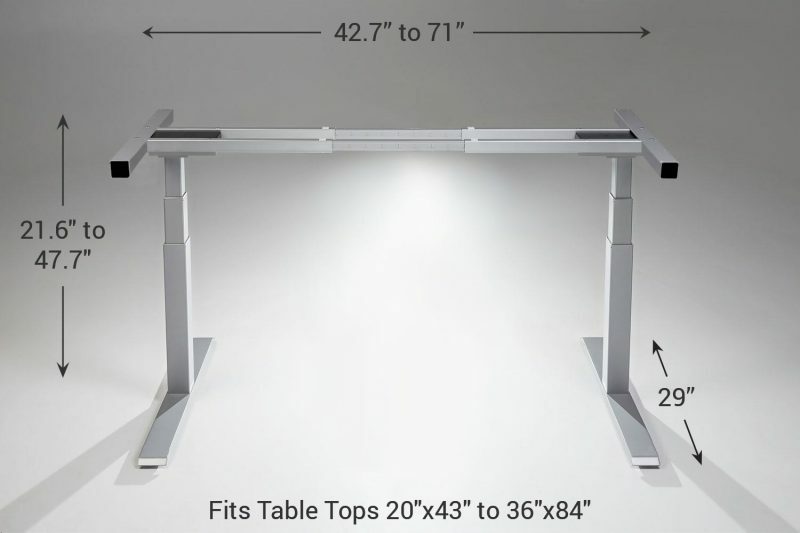 I compared this desk to other adjustable table top standing desks and chose this one because it was wider and easier to lift than most. I also love that the keyboard tray is large (and detachable). Furthermore, it goes up quite high which I like because I am on the taller side for most females (5'10"). It easily adjusts to many heights, though. Another great thing about this is that the handle is easy to reach and doesn't pinch at times. It adjusts very fluidly without strain. It is very easy to raise or lower. I use this with a large laptop and computer monitor sitting on top and still have plenty of space in front to put a notebook should I like to take notes while working. I'm very happy with my purchase and am enjoying the benefits of being able to sit or stand as needed while working. My doctor actually recommended that I purchase this because I have lower back pain and sitting for too long aggravates it. Getting up to take a break helps sometimes, but isn't always the best answer for days when there is much work to be done. 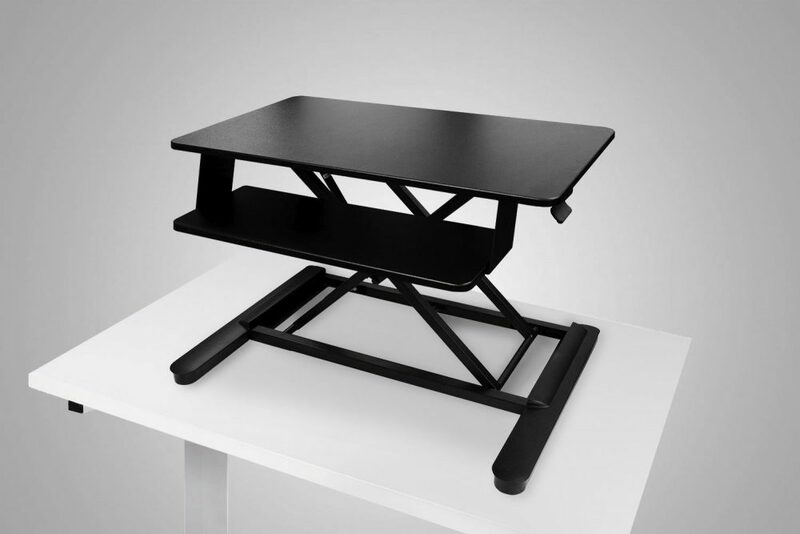 This desk makes standing up so easy, and I can quickly raise it, keep working and stand for even longer periods. A back saver! I purchased this to help with lower back problems I am having. It is very difficult for me to sit for long periods of time. I took it to work and my assistant helped me set it up. It has been a life saver, or should I say, "back" saver. When I can't sit anymore, I just stand up and work. There is a lever on the side and I just press it and lift. When I get tired of standing, I press the lever and lower. Simple and easy to use with very little to no effort. 5 stars. 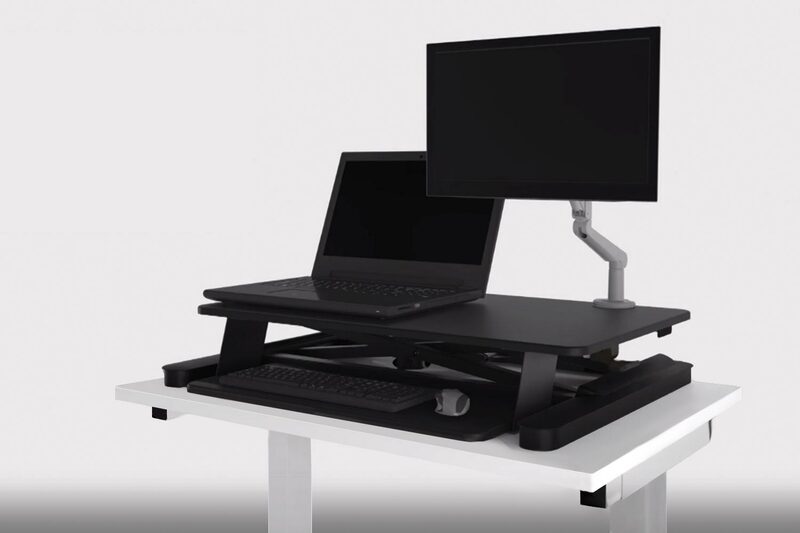 In side-by-side comparison with Varidesk, the Multitable is the clear winner! Just finished the first week with this, and I love it. Notably, today an office mate received his Varidesk of the same size. 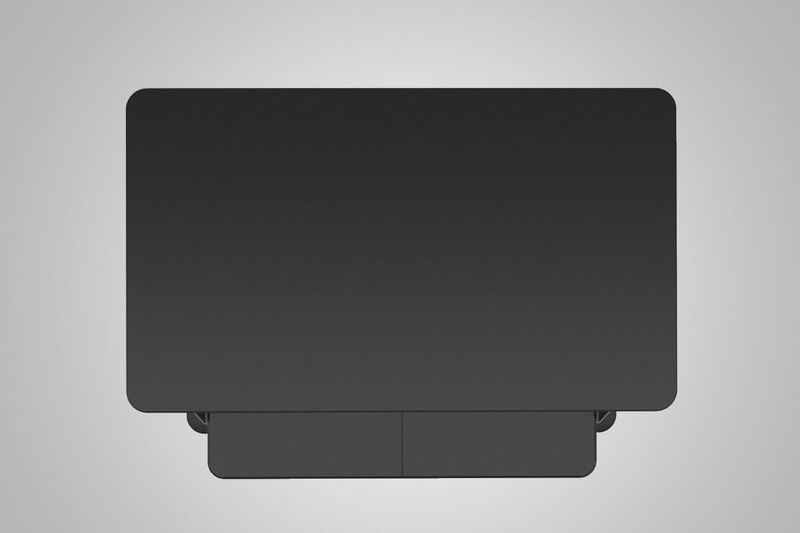 Not only is the Varidesk $100 more, it is not nearly as nice as the MultiTable, for several reasons. 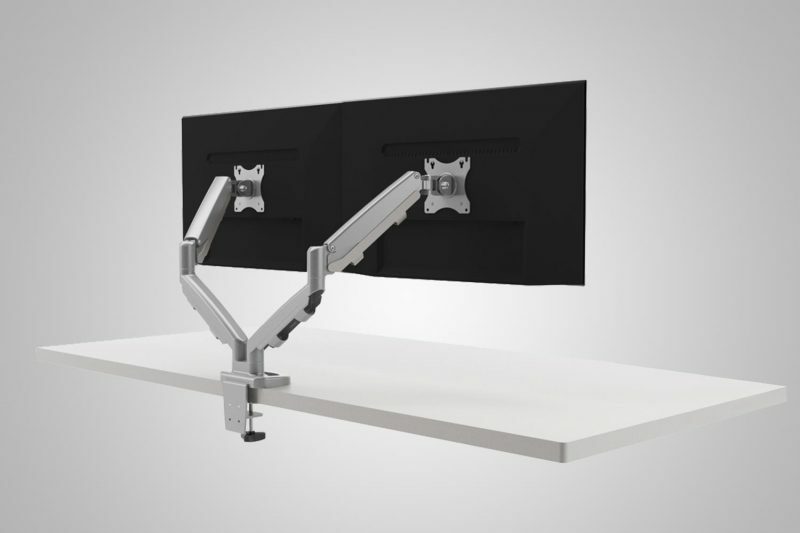 First, the Varidesk lifts with spring action, which is much harder to raise and lower than the MultiTable pneumatic assist. 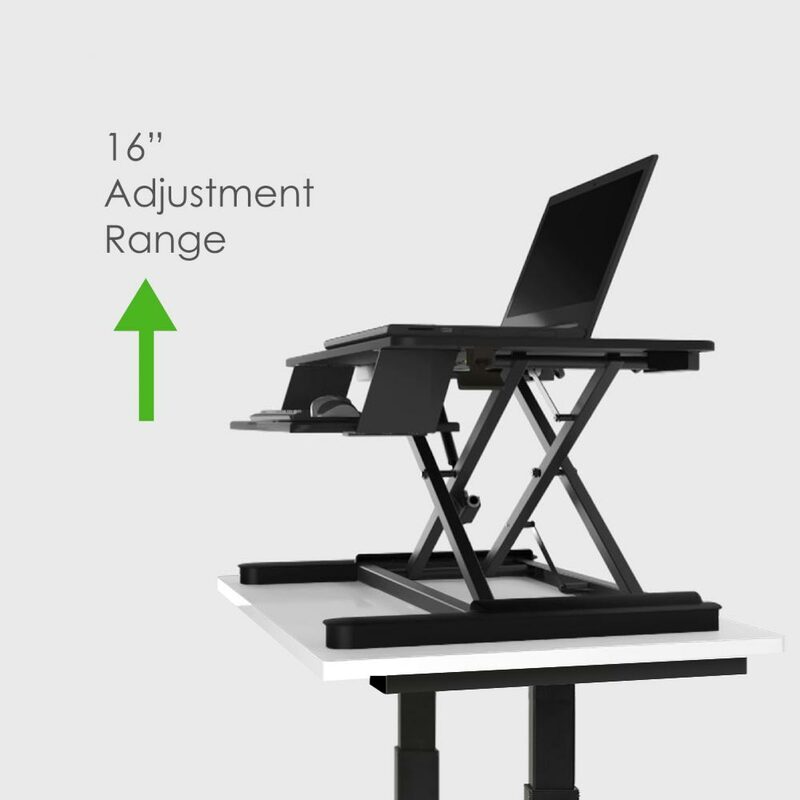 Several of the shorter/average height women in the office had a lot of problems raising the Varidesk, and some could not lower it. The MultiTable on the other hand was easy for all to raise/lower. Second, the base of the Varidesk is deeper, and hangs over the desks in our cubes, while the MultiTable fits perfectly. 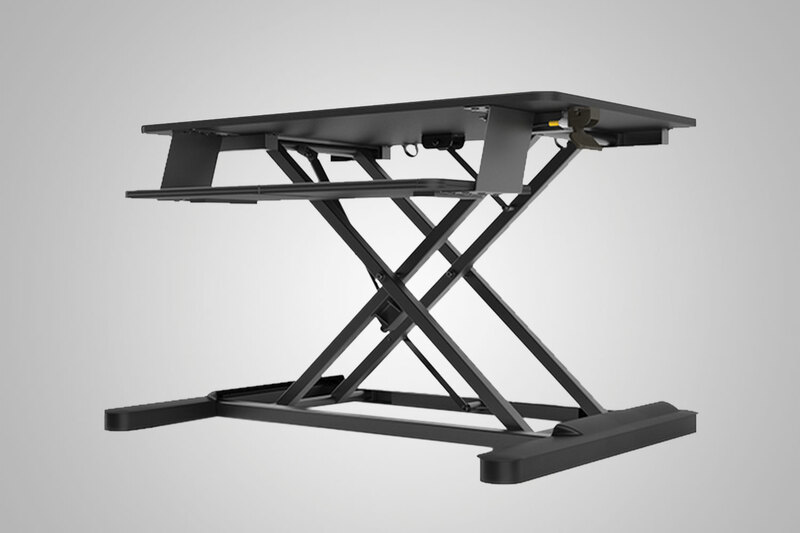 Third, the Varidesk moves forward when it raises, so the unit becomes top heavy, particularly with the overhang of the base. 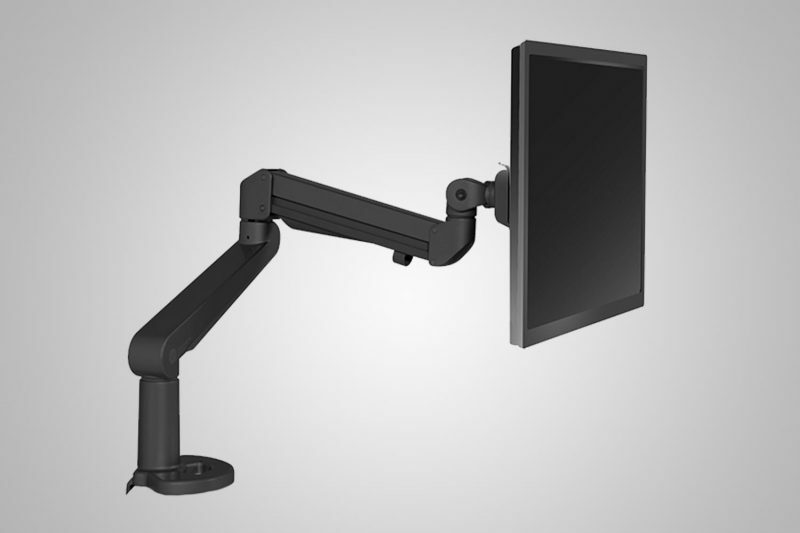 The MultiTable raises and lowers straight up and down so stays more stable. 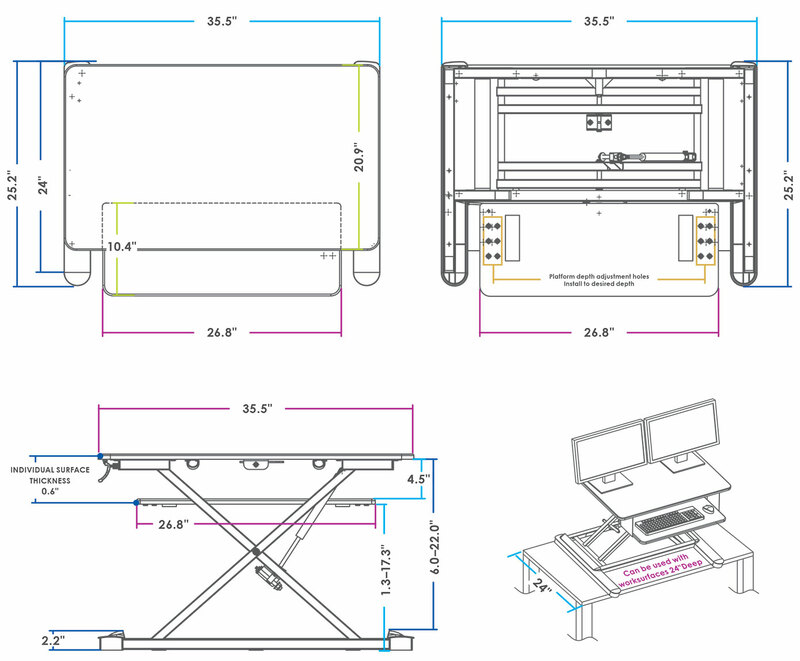 Fourth, the Varidesk has more cutout area, meaning that the MultiTable has more real estate for monitors, laptops, paperwork, etc. Finally, I am 6'7", and this unit at its tallest is a perfect fit. MultiTable is definitely the clear winner. Very good for my back. 5 Stars. This is a great product that has very immediate benefits. My neck and spine hasn't felt this good in years. 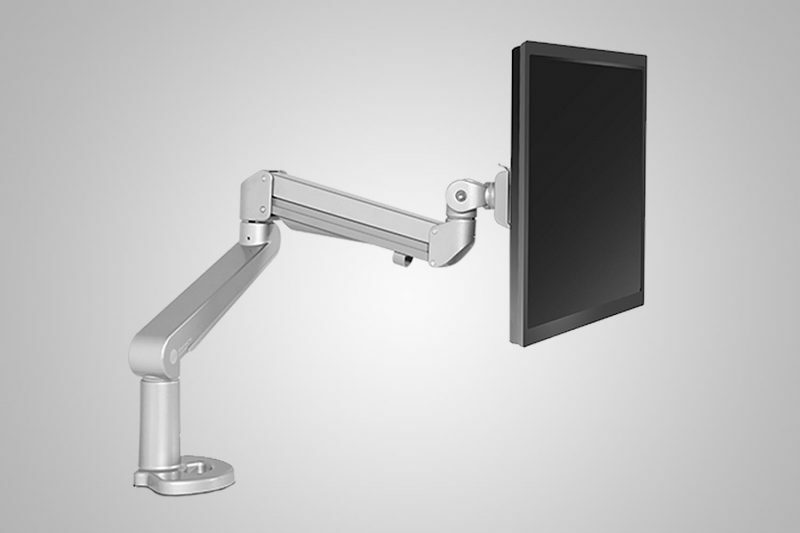 Very easy to lift up and down with one hand. I adjusted mine in minutes for my twin monitors and it works like a charm. Very comfortable to use and getting more and more up-time everyday. Standing at work has made me more energetic with less aches and pains as I have been accustomed to at the end of the day. 5 stars. So much sturdier than the amazon brand we bought We found a desktop riser on amazon for less, but had to return it. It shook in every direction when we set a laptop and monitor on it. This multitable model is far heavier and stays in place without shaking. We plan on adding many more of these for our healthiest employer initiatives. 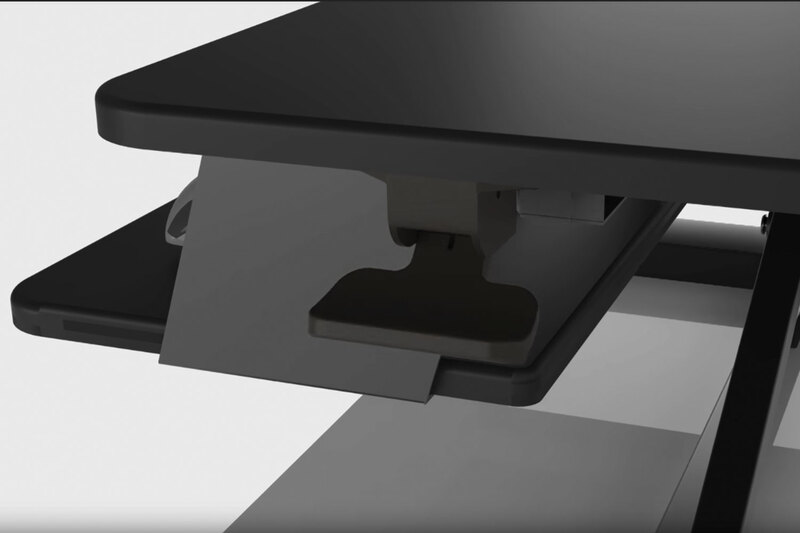 Great product and solution without having to replace all our furniture. Great quality and customer service MultiTable has always provided a solid working product with the highest quality and standards. 5 stars!